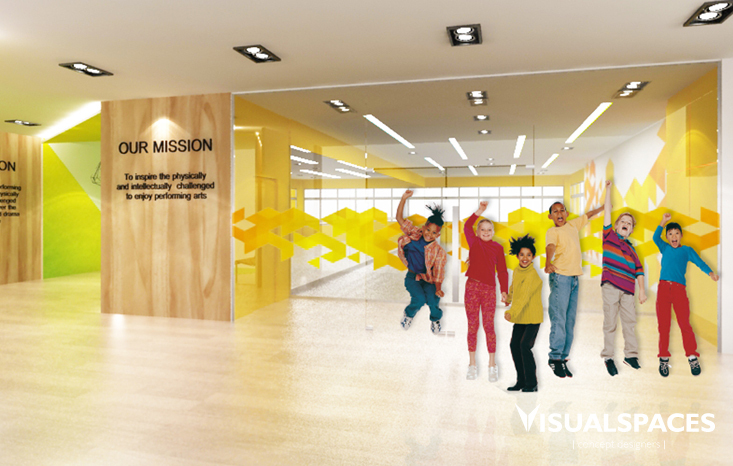 Visual Spaces has been invited to design Dance Act Play Performing Arts Society (DAPPAS), a new creative learning center for the special needs children at Chai Chee Industrial Park. 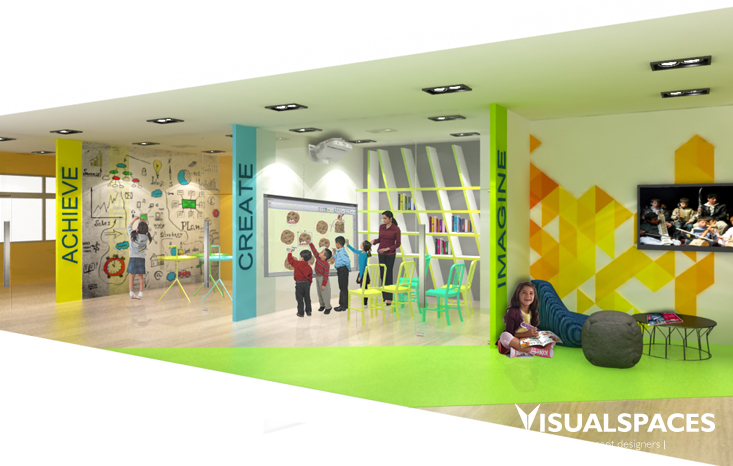 An space filled with creative atmosphere to encourage children to develop their creativity is an exciting project for the VS design team. We conceptualised an inviting reception area leading visitors into the center naturally through wall and ceiling feature as well as space planning. A bright lime green and yellow theme was adapted from the center’s corporate identity to the overall colour scheme. A full glass dance studio with high end dance floor from Harlequin Floors were part of the design specifications to ensure maximum safety for the special needs children. Interesting technologies like interactive learning projection, sketch paint and magnetic wall were also introduced in the activities areas to allow free play of creativity from children using and learning during classes.